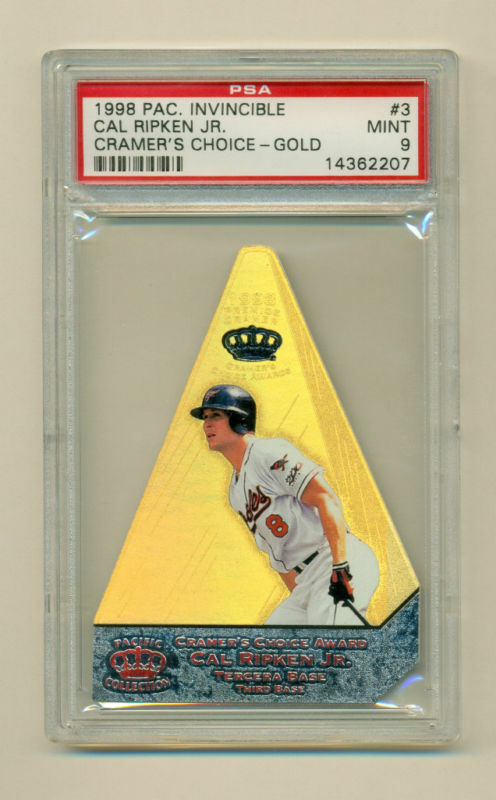 I have seen eBay auctions for this card touting it as the limited, hand-numbered version from the Pacific Invincible Cramer's Choice Gold set. These cards are incorrectly labeled (mechanical errors) by PSA. Unless they are hand-numbered on the back, they are from the regular Pacific Cramer's Choice set. Mine was incorrectly labeled as the limited version. I sent it to PSA for correction and the updated label can be seen in this post. The poor soul that purchased the card to the right on eBay spent $130 for a card that isn't even what he or she thought it was. 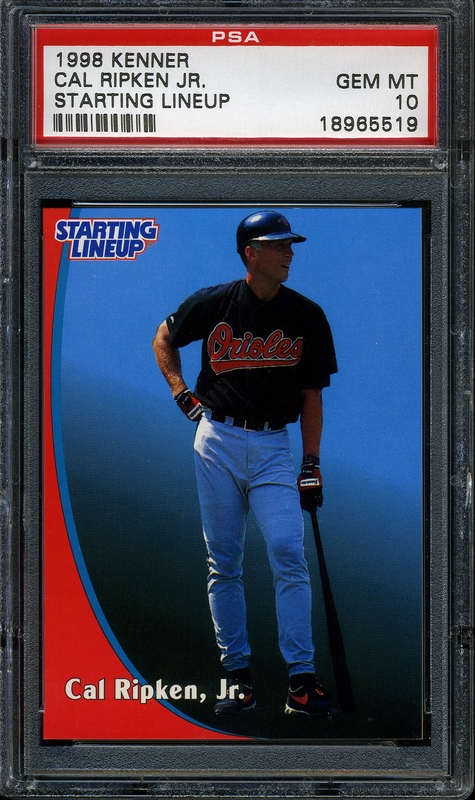 I recently won a 1998 Kenner Starting Lineup PSA 10 card on eBay and I have to say it is my new favorite card. It reminds me of a Ty Cobb card from long ago. 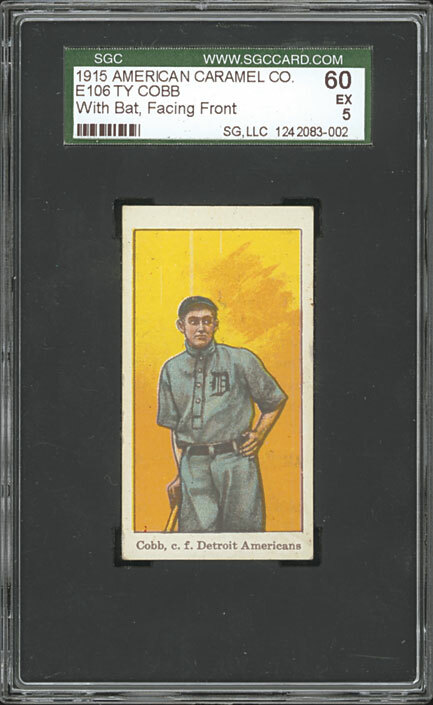 The Cobb card has been cited as a favorite by many due to his "boyish" pose and I would have to agree. This Ty Cobb sold for a hefty $14,770 several years ago at auction. I was able to acquire mine for a paltry $36.58. I'd say that was a pretty good deal!